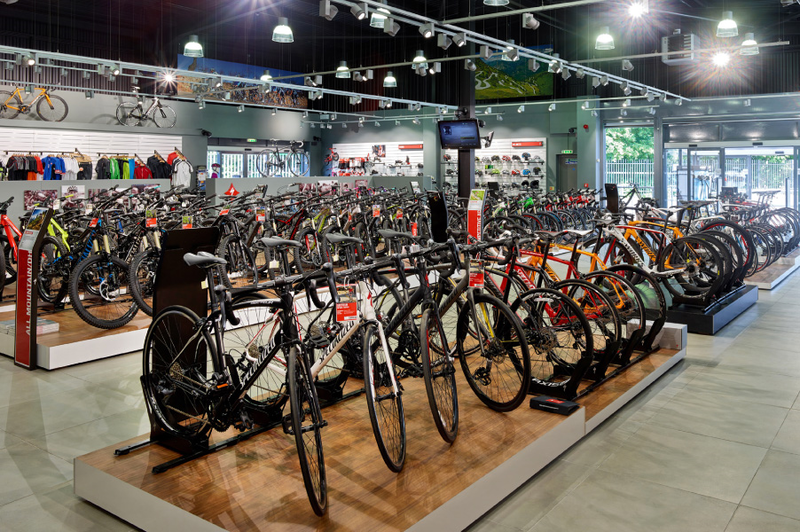 Headquartered in the USA, Specialized Cycles now has a truly global dealership footprint. 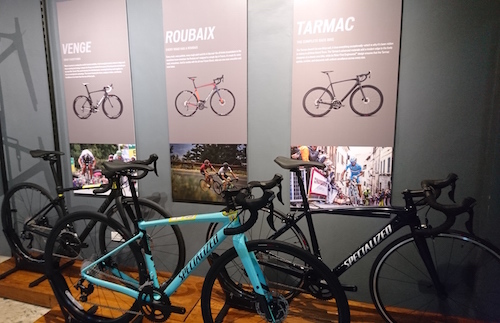 In this franchise spotlight we speak to Nigel Blanchard, who owns and operates three Saint Cycles locations, each a Specialized Cycles dealer with its own marketing challenges. How long have you been going with Saint Cycles and what made you get into it? I have been the owner/operator of Saint Cycles for 5 years. That all began as an opportunity to act as a storefront for my wholesale business which was Traverse Sports. I had a wholesale company importing products from England that I liked but weren’t in the country. Products included Endura Clothing, which was why I needed a concept store to display all my clothing. Starting small the shop rapidly outgrew the half store I had setup and so I sold the wholesale company to allow me to focus solely on growing Saint Cycles. It paid off as we are now operating in three locations across Auckland with stores in Takapuna and Orewa complementing the now much bigger Mt Wellington store. I had a background in bicycles as I was growing up, which fed my interest in the bicycle industry. I was a mountain biker in England and also completed multiple cross-Europe touring trips with my mates. Having a family with two young kids, we now enjoy riding around the rail trails and finding new exciting places to ride. How much marketing do you do yourself and what’s working for you? We have focussed most of our marketing through social media in the past two years of business, due to its vast reach and accessibility. Specifically, Instagram and Facebook. It is by far and away the best ROI marketing I have used. When we first opened newspaper and radio advertising was beneficial, but I never really felt I got an adequate return on the outlay. What marketing tools have you found most effective and why? Targeted Facebook posts have been a great for getting people excited about sales or deals we have running. In the early days our most successful growth marketing was around local school fairs, football club sign up days and cycling events. Getting the face to face contact gave us some of our best returns. However that is a lot more effort to pull off effectively. That’s why I feel social media has the most potential for us. We use Digital Stack to punch above our weight and look really professional in terms of what we put on Instagram and Facebook, then put additional spend behind it occasionally to boost the reach even further. So is Instagram and Facebook the extent of your social media activity? Yes, Facebook and Instagram. That’s where our audience is. These platforms are the most popular for users and the easiest way for us to reach our customers. I don’t feel the need to use other social media as I don’t get the same great feedback. Any other marketing channels to reach your existing customers? Aside from social media we talk to our customers regularly through our monthly newsletter. We have been a Specialized bicycles dealer for four years and have thoroughly enjoyed having them as partners. We offer the full range of Specialized bikes from little kids bikes to there $15000 S-Works Carbon E-Bikes. There isn’t much in the industry they don’t do and aren’t leading the industry with. 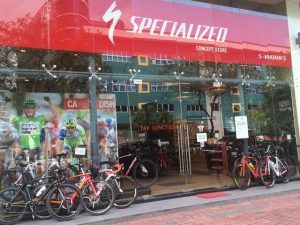 Specialized have some the best after sale support for their customers in the country and are always finding new ways to “innovate or die” as they like to put it. We have some lower price point brand options, but have not felt the need to bring in too many other brands. The Specialized product range is very comprehensive and deep so all segments are covered. 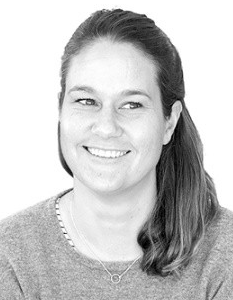 What is it like to manage three locations? Being the owner of the three locations puts a lot of added pressure to the job. I have found the need to trust my store managers with a lot more decision making responsibilities. The difficulty lies in ensuring that the locations share a common theme. You want the customer experience to be the same in any branch. But for some flexibility for the product range to represent the needs of that area. It’s something I have struggled to manage initially but am figuring out now. There is a lot of opportunity for collaboration. With a franchise based system I would be deciding for different branches what is best, without knowing what the people need. But having three managers, they can give me the best advice for how to focus our marketing programs. The difficulty lies in ensuring that the locations share a common theme but we retain some flexibility for the … needs of that area. What features in Digital Stack are most helpful? The planning and scheduling capability is by far the most exciting. That’s because we can consistently present a big-brand marketing look across our three locations. This will also mean that my managers can easily post what they need to on a daily basis without reliance on a graphic designer or social media manager. Having templates to edit is a huge bonus as our overall time to complete the job will diminish. Tell us about living and running businesses in Auckland, New Zealand? Auckland is the current hotspot for growth in New Zealand, and running a business here has its challenges. The fast-paced way of life means that people in the city expect products immediately or very fast. Keeping up with the demand is vital, as well as having the necessities to sell so people don’t go somewhere else. It is a unique challenge for us, also competing with multiple bike stores and branches. I enjoy living in the city and look forward to keeping the business based in Auckland and growing the Saint Cycles name.